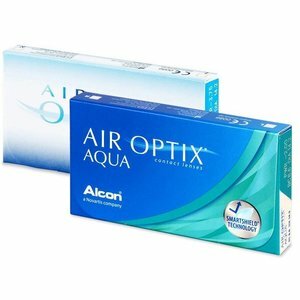 Air Optix Aqua - 6 lenses - Weblens - Your Contactlenses Online ! 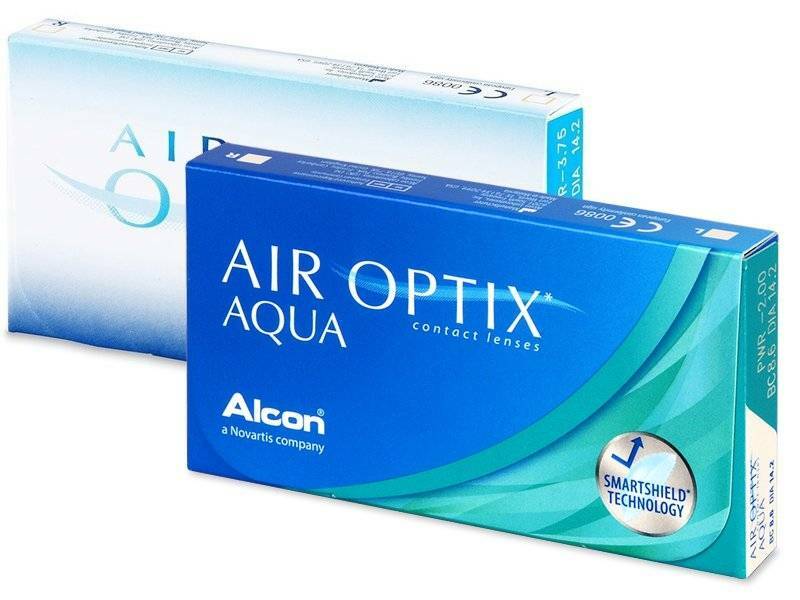 AIR OPTIX Aqua contact lenses are made with a unique lens surface technology that is dirt-resistant, so that your lenses remain clear and clean during the wearing period. The lens surface is moist and wettable for constant comfort from day 1 to 30. 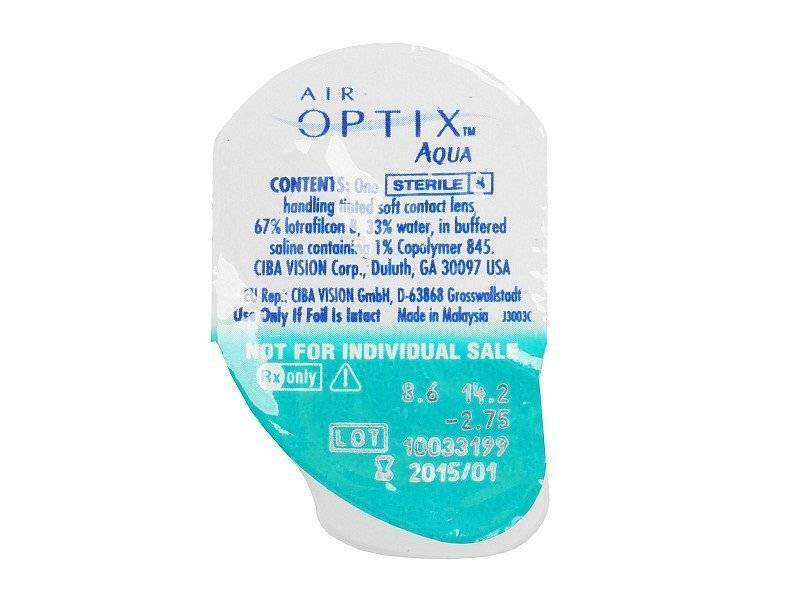 AIR OPTIX Aqua contact lenses are ideal with an all-in-one fluid for cleaning. 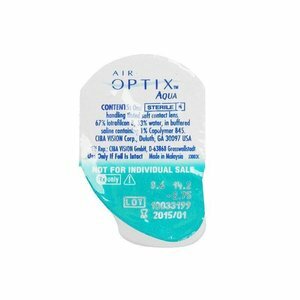 The new high-oxygen permeable monthly lens that makes your eyes breathe better! 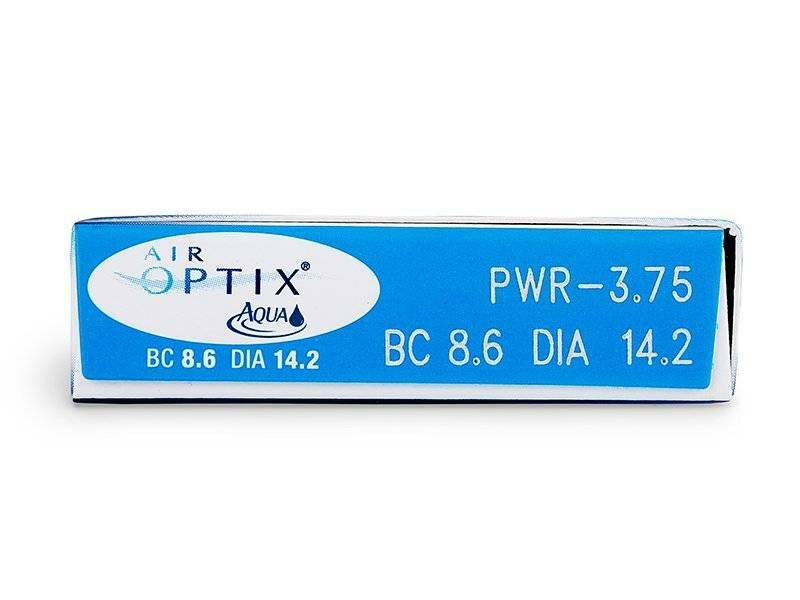 AIR OPTIX¸ is a revolutionary monthly lens for daytime wear made from a silicone material. 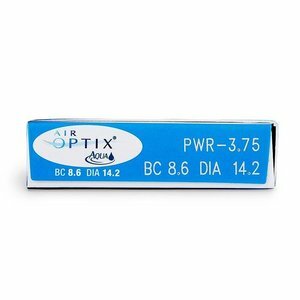 AIROPTIX This lens allows up to 5 times more oxygen to the eye than ordinary monthly lenses. Eyes must breathe! In order to function properly and to stay healthy, eyes need oxygen, they have to be able to, as it were? to breathe?. The cornea (front, translucent part of the eye, also called "cornea") removes the necessary oxygen from the air: it dissolves in the thin layer of tear on the eye, and can thus be absorbed by the cells of the cornea. An ordinary contact lens makes this process more difficult, because it forms a kind of barrier between the air and the eye. In order to avoid the long-term disadvantages of a reduced oxygen supply, contact lens specialists usually recommend that the lenses should not be worn for more than 8 to 10 hours a day. We need lenses that allow more oxygen to pass through. However, the lifestyle of the current consumer often makes higher demands (just think of the number of hours that most spend behind a computer screen!) And the recommended wearing times are almost always exceeded. Quite a few lens wearers show certain signs that may indicate an oxygen deficiency, such as red eyes, uncomfortable lenses at the end of the day, sometimes a bit of burning sensation or itching, feeling dry eyes? CIBA Vision (now Alcon) has been carrying out years of research into the development of new lens materials that allow much more oxygen to pass through to the eye, so that the eyes can simply continue to "breathe" and stay healthy, even in the long term. The new high-oxygen permeability lenses developed by CIBA Vision / Alcon are based on silicone and have a special layer around them, which makes the lenses more wettable and where protein deposition is virtually uncontrollable.